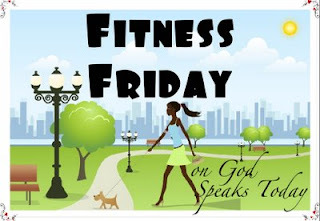 These are the commands, decrees and laws I, Fitness Friday Girl, teach you to observe in the land as you strive to live a life of health and fitness. They are given you so that you and your children and their children after them will keep all the commands and decrees that I give you, and so you may enjoy long life. 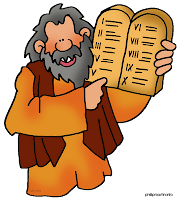 Hear, O Blog Reader, be careful to obey so that it may go well with you and you may not increase in weight or sickness and that you may thrive in the land flowing with skim milk and honey, just as I, Fitness Friday Girl, promised you. I. . Remember to commit everything, especially your health and fitness, to the Lord your God. Do not be afraid to ask God for help when you are tempted to lie on the couch and consume the pan of brownies. The Lord your God cares about your health. Commit your plans to the Lord and your thoughts will be established and your plans will succeed. II. You shall eat a diet rich with every kind of fruit and vegetable created by God. Eat them with every meal and with every snack. When your produce drawer runs dry, have frozen produce on hand. Never be without fruits and vegetables. Be creative in your preparation and find tastes and textures that are pleasing to your pallet, so that you not crave the French fry or the potato chip. I wanted to let you know about a new feature on my blog. It is a way to connect to my faithful readers. 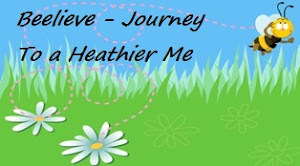 "Circle of love" is a new feature on fridays where I want to introduce faithful friends such as yourself to my readers. Check out todays post about this new feature and consider allowing me to feature you and your blog in the future. Thank you for all that you are doing, as you minister to us thru the web! Preaching to the choir...but you go girl! Speak it! I hope you don't mind but I've tagged you over at my blog!! This is too cute and so true! We need to honor God in all we do, even our exercise and eating... I won't tell you about the reese cup egg I just ate!! You are so sweet to put this on your blog. Wow. I'm honored. And I have to say, you have about the cutest blog design I've ever seen. It makes me just want to hang out around here for awhile! Congrats on your weight loss so far this year. I'm so proud of you. Keep it up!!!!!!! !